We had a great time at our March meeting this past Thursday night, March 8. The primary focus was Beatles songs. We prepared for the SXSW Beatles Complete on Ukulele program, Ukulele Mob, on Thursday, March 15th, at noon, at Hickory Street Grill (downtown, 8th and Congress). 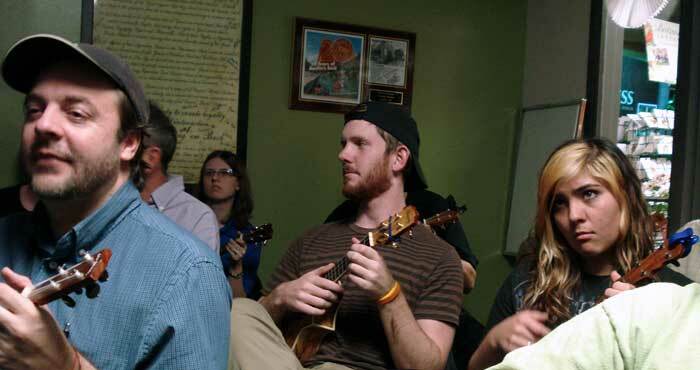 The program will run until about 6 p.m.; the Ukulele Mob will happen at noon and probably take about 15 or 20 minutes. (If you want to join in–and you are definitely invited if you want to bring your uke and join us–please show up a little early, at 11:45 or so.) 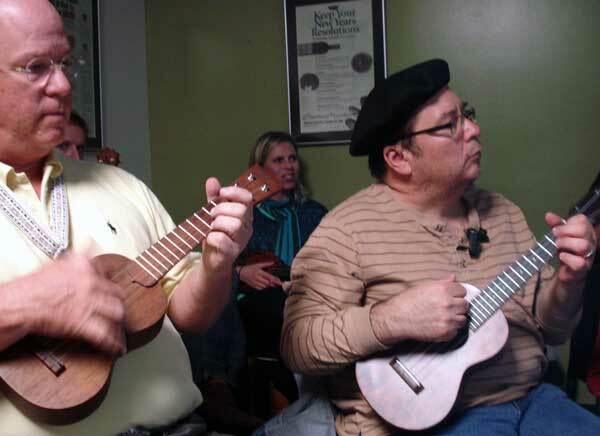 The songs we’ll play (and they’re all in the Ukulele Music Library) are “Why Don’t We Do It in the Road?.” “All Together Now,” and “Eight Days a Week.” Roger Greenawalt, the maestro of Beatles Complete on Ukulele, will have a band there to back us up, and will be in charge. Thanks, and we’re looking forward to the April meeting, which should be held on Thursday, April 12, but it isn’t definite yet, so watch this space. We’re also looking for an additional free, and centrally-located, space to meet. Any ideas? Let us know. 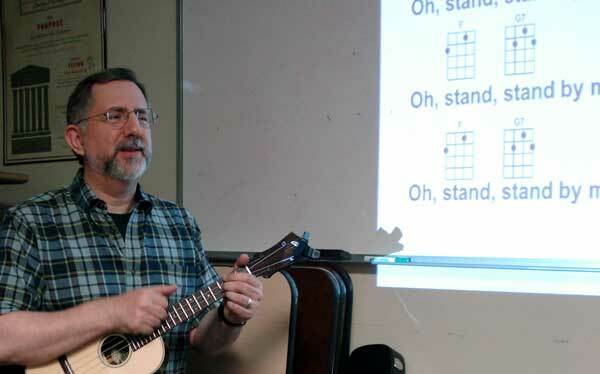 This entry was posted in AUS activities on March 10, 2012 by Austin Ukulele Society.